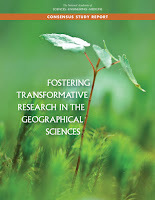 National Academy Press: Fostering Transformative Research in the Geographical Sciences via Tom Baker. Census: Population Bracketology - "Test your knowledge of population data! Start by choosing your geographic level: metro areas or states. Click on the name in each match-up that you think has the larger population. Green shows a correct answer, red indicates an incorrect answer. When you have opposing names picked for the next round, pick again. See how close you can come to a perfect score of 63. When you are finished, play again or mouse-over results to view the most current population estimates for each pair." Via GIS User. Texas State: Alkek construction brings $14.3 million worth of changes - The library renovation is expected to be completed in spring 2020. "The first floor of Alkek will be converted into space where new and emerging technologies meet student learning. A virtual reality center will be available to students where they can create augmented reality experiences and participate in interactive storytelling. The new GIS center will have an Omniglobe, a visual tool for research, mapping worldwide events, simulating weather patterns and viewing ocean currents. According to Scott Ayers, director of IT marketing and communications for the Division of Information Technology, the first floor will include maker spaces, digital design centers and 3D printers." Penn State: Students use GPS to plot National Fuel pipeline at Women in Technology Day - Nearly 40 girls from six different school districts attended Penn State Behrend's Women in Technology Day. Students used their phones to collect GPS points for a National Fuel Gas Company pipeline. Employees used professional grade receivers to gather the same data. “'It was a really, really stark difference,' said Claire Dodds, a sophomore at North East High School. 'Theirs’ was just so much more precise, which is shocking because you usually think a phone GPS is going to be perfect.'" That's a great activity! University of Washington: New tool maps a key food source for grizzly bears: huckleberries - The University of Washington and U.S. Geological Survey have developed an approach to map huckleberry distribution across Glacier National Park using Landsat and NAIP. It's described in a recent paper in the International Journal of Remote Sensing. University of Toronto: U of T students win prestigious prize from Architect magazine - The Coding Flux studio of the John H. Daniels Faculty of Architecture, Landscape, and Design was recognized as one of six winners of the 2018 Studio Prize, from more than 100 submissions by architectural schools across North America. "The Studio Prize honours thoughtful, innovative and ethical university studio courses....Working closely with county planners, the students developed a geographic information system (GIS) map of the region to understand which areas are most susceptible to rising sea levels, studied the limitations of existing zoning codes, and then designed proposed solutions." Colorado State: Colorado State University Expands Curriculum for Integrated Digital Construction with Trimble Technologies - "Trimble announced that it has awarded a significant in-kind gift to the Department of Construction Management at Colorado State University (CSU) that will expand the University’s leadership in training and research for 3D building design, construction management, digital fabrication, civil infrastructure, geomatics and the sustainable built environment. This gift will enable CSU to integrate across its curricula Trimble solutions that are rapidly transforming how building and living environments are designed and constructed." ABC10: Elk Grove students get national recognition for learning map-making skill - "The American Association of Geographers has recognized Elk Grove Unified School District’s James Rutter Middle School [California] as one of only 15 schools across the nation in best practices of using geospatial [or map-making] technology in grades K through 12. " University of Twente: Maarten van Aalst appointed to Princess Margriet Research Chair - Maarten van Aalst has been appointed full professor for "Spatial resilience for Disasters Risk Reduction." This research chair was presented last year by the Red Cross and the University of Twente in the name of Princess Margriet on the occasion of her 75th birthday. The Prinses Margriet Research Chair is established within the Faculty of Geo-information Science and Earth Observation (ITC) at the University of Twente. 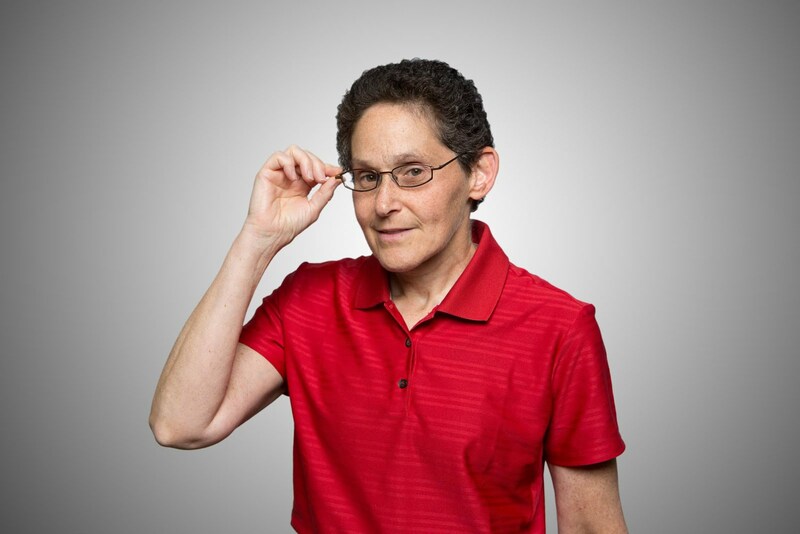 UCGIS: Dr. Guido Cervone, of the Department of Geography, Meteorology, and Atmospheric Science at the Pennsylvania State University, has been selected for the 2019 Carolyn Merry Mentoring Award. Esri: Education Industry Solutions Manager: "Esri seeks an established academic thought leader with substantial experience in modern GIS applications for teaching, learning, research, and campus administration to lead its Education Industry Solutions team. This person must have: 10+ years of experience in the Education field at a decision-making level 5+ years of GIS experience as it relates to the Education industry 5+ years of leadership experience with the ability to motivate, inspire, and achieve goals Proven ability to provide compelling, effective presentations for large and small audiences Proven ability to collaborate, communicate, and influence audiences across large organizations and/or multi-disciplinary audiences Ability and willingness to travel internationally PhD in a relevant discipline, such as Computer Science, Geographic Information Science, Library and Information Science, Education, Geography or Geosciences. Location (non-negotiable): Redlands, California." Via Dawn Wright. Gillette News Record: UW now plans to keep geography bachelor's in revised proposal - The original proposal was to shutter the entire department at the University of Wyoming. "Under the new proposal, the Bachelor’s of Science in geography would be retained under the Department of Geology and Geophysics. If trustees approve the plan, UW will convene a task force to “consider the continuing viability” of keeping bachelor’s and master’s degrees in geography, as well as a master’s of planning degree, with recommendation due to the Office of Academic Affairs by Oct. 15." IHE Delft in cooperation with Nieuwland Geo-information announced (article) a new online QGIS course. The course is delivered via Moodle (an open source learning management system), takes about 24 hours of study and costs E295. 1 ECTS is awarded to IHE students upon completion. Three instructors provide support via a forum. Students who pass the course assignments are entitled a certificate. QGIS certification is given to organizations that are members of the QGIS community in good standing and use approved teaching materials. Certified organizations can teach QGIS and provide certificates to students for a fee of E20. This course's requirements to receive a certificate are on the Assignment page. Dr Stephane Joost, Ecole Polytechnique Federale de Lausanne (EPFL), Switzerland via Geo for All: "We just released a new MOOC on Geographic Information Systems (Part 1). This english version is based on a previous [F]rench speaking course elaborated in the context of a collaborative project between the Ecole Polytechnique Federale de Lausanne, Switzerland, the Centre Universitaire de Recherche et d'Application en Teledetection (CURAT) - Universite Felix HOUPHOUET-BOIGNY in Abidjan-Cocody (Ivory Coast) and the Department of Geomatics at the Centre de Suivi Ecologique (CSE) in Dakar, Senegal." The course is hosted on Coursera, uses open source software including QGIS, and has its forum hosted on Facebook. NASA: Remote Sensing for Disasters Scenarios - "By the end of this training, attendees will be able to identify NASA data products to characterize and monitor disasters and support decision-making, understand the different data products available and their shortcomings, and access and interpret data covered in the different sessions." The sessions run Tuesdays, April 16, 23, and 30, 2019 and 10:00-12:00 or 14:00-16:00 EDT (UTC-4); the 14:00-16:00 sessions will be delivered in Spanish. Conducted by the NASA Applied Remote Sensing Training Program (ARSET). Introduction to PostGIS - Kayla Patel, Product Manager for Data and Analytics at the City of Boston, shares a three-part write up introducing PostGIS, an open source spatial extender for PostgreSQL. Tennessee Geographic Alliance: Introduction to ArcGIS Online Workshop - There are two offerings of a free two-week course aimed at K-12 teachers in Oak Ridge, TN. These workshops are sponsored by the Tennessee Geographic Alliance, Esri, and ORAU. UNIGIS: UNIGIS Amsterdam presents: Expert Webinars open to all - UNIGIS Amsterdam presents a series of Expert Webinars that are open to all. The first webinar scheduled on Wednesday April 8 at 5 pm (CET) covers the Sensor Web & The Internet of Things. Some webinars are in English, others in Dutch. USC: USC's Brand New Mashed-up Masters: Spatial Science & Economics - "John P. Wilson, Professor and Founding Director of the Spatial Sciences Institute (SSI) at the USC Dornsife College of Letters Arts and Sciences, has announced the launch of its Master of Science in Spatial Economics and Data Analysis, a two-year graduate degree offered in conjunction with USC’s internationally renowned Dornsife Department of Economics."